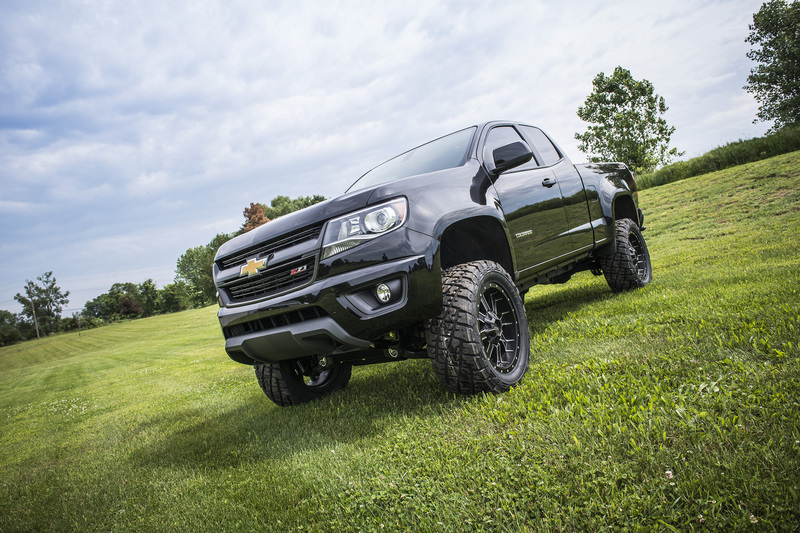 Ever since unveiling the prototype Colorado lift system at the 2014 SEMA Show, there has been a buzz about BDS Suspension’s efforts leading the industry with developing suspension lifts for the all new 2015 Chevy Colorado and GMC Canyon trucks. Well, the wait is over, BDS Suspension is excited to announce the release of First to Market 5.5″ high clearance IFS lit kits for the new platform for impressive performance in any terrain allowing owners to install 33″ tires. 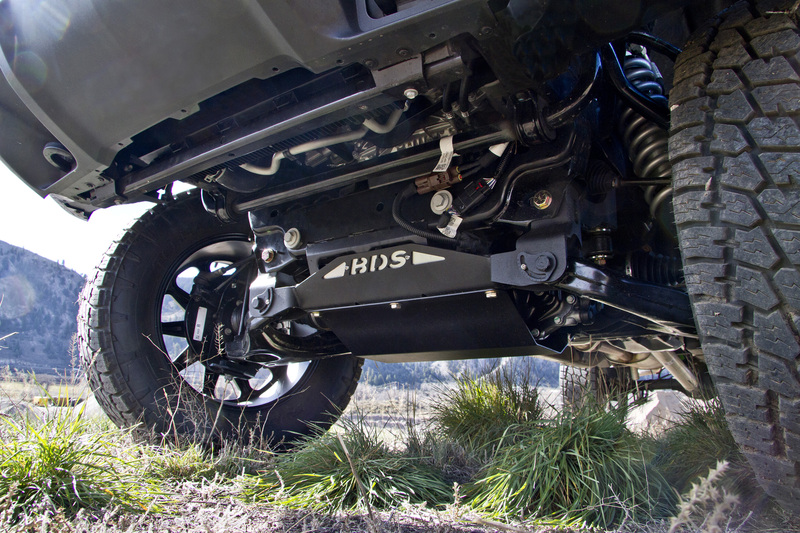 As with all BDS lift kits this new 5.5″ system is backed by Factory Protection Plus (FPP) offering peace of mind whether you’re on the road or off the beaten path. 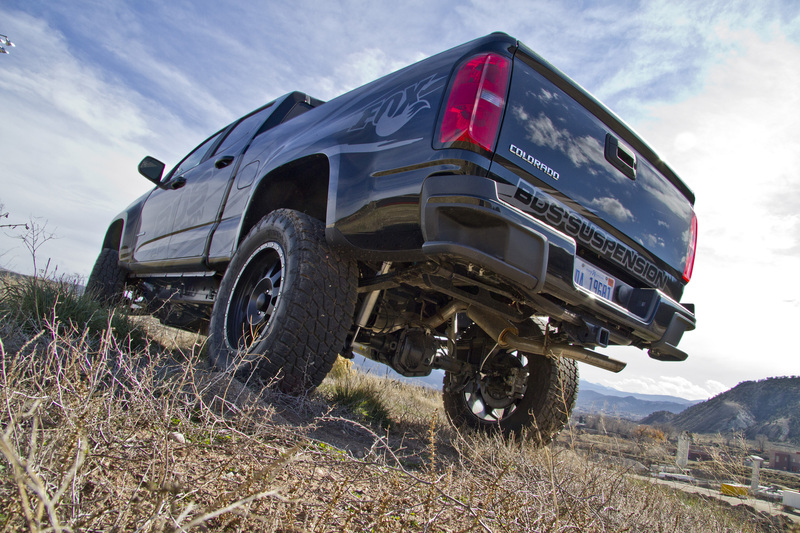 FPP combines BDS’s No Fine Print Lifetime Warranty, FMVSS No.126 ESC system compliance, and a 5-year 100,000-mile drivetrain warranty at no additional cost to the consumer. 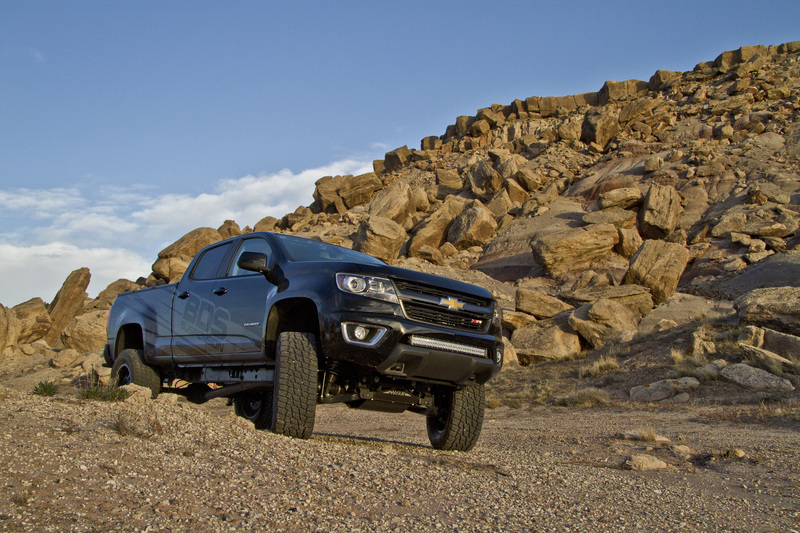 Improve the stance and capability of your new 2015 Chevy Colorado or GMC Canyon with BDS Suspension. 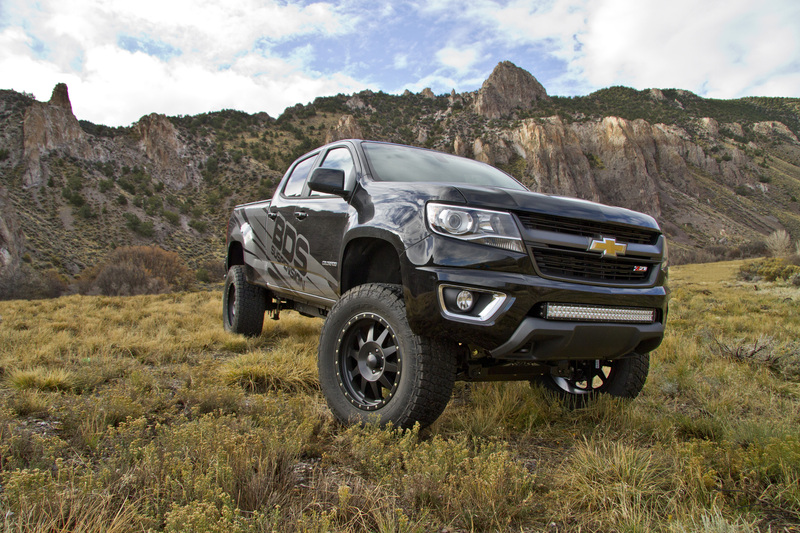 5.5″ Colorado/Canyon Lift Kits: After months of testing, BDS Suspension is excited in introduce the first to market full IFS suspension system for the 2015 Colorado/Canyon platform. 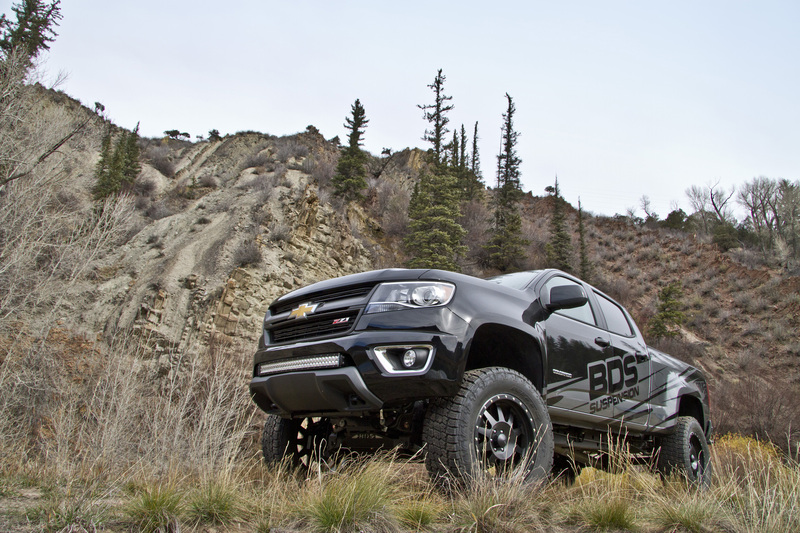 This new BDS 5.5” suspension system is designed around the tried-and-true steering knuckle and crossmember technology. 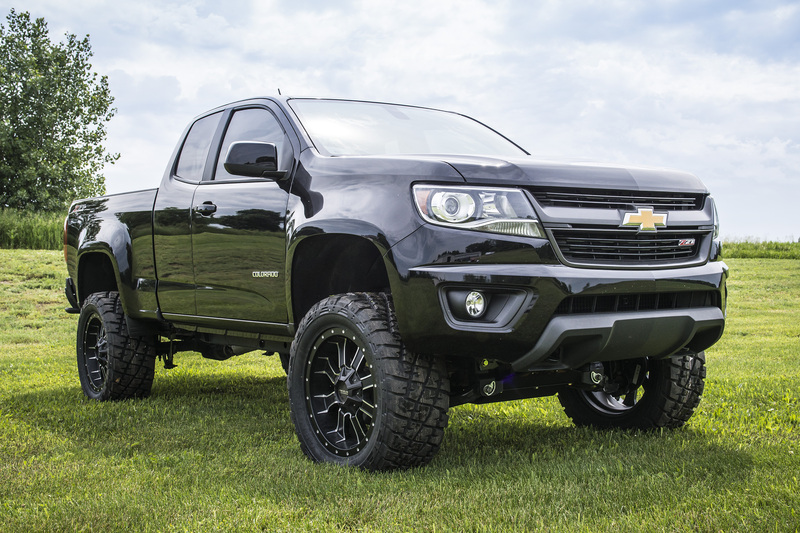 Along with the rugged, high clearance design, this new system has passed the National Highway Traffic Safety Administration’s Federal Motor Vehicle Safety Standard (FMVSS) No.126 and has been independently certified to not adversely effect the vehicles factory installed electronic stability control system with the lift installed. 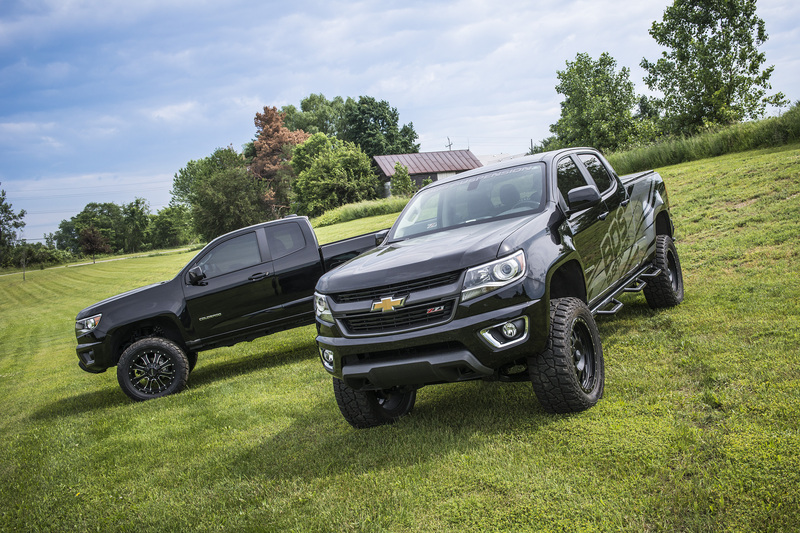 That combined with BDS No Fine Print Warranty and a 5-year 100,000-mile drivetrain warranty gives you the peace of mind wherever and however you use and abuse your truck. 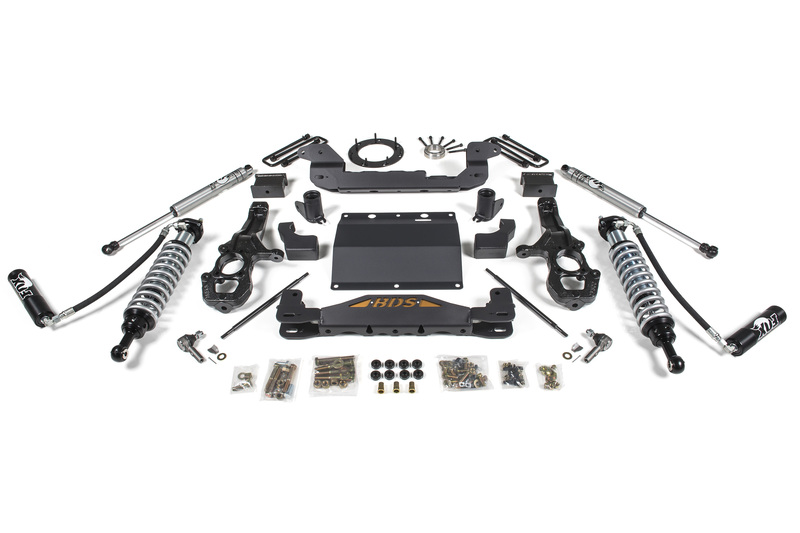 This system uses a pair of heavy duty 1/4″ steel high clearance crossmembers to reposition the lower control arms and work in unison with the massive ductile cast iron extended steering knuckles to gain 5.5” of lift. 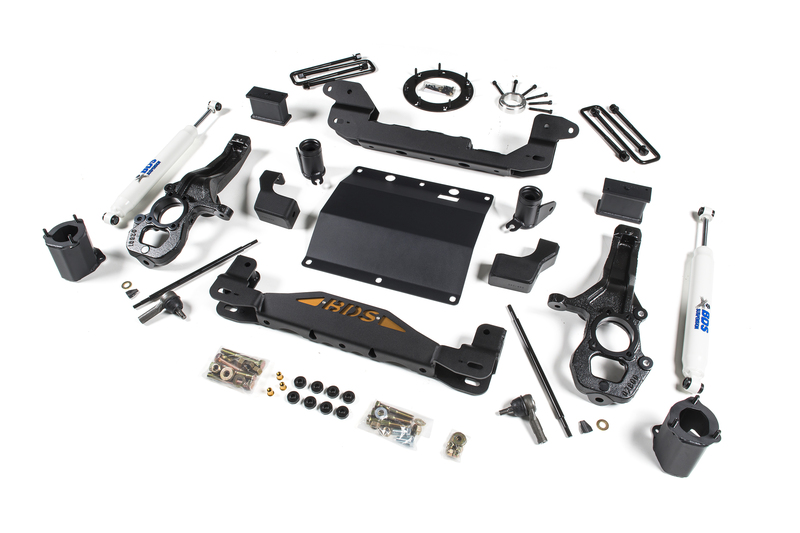 The crossmembers utilize the factory alignment eccentrics and tie together with a full-width skid plate. The skid plate protects vital front end components for offroad use and ties the crossmembers together for a extremely rigid subframe. 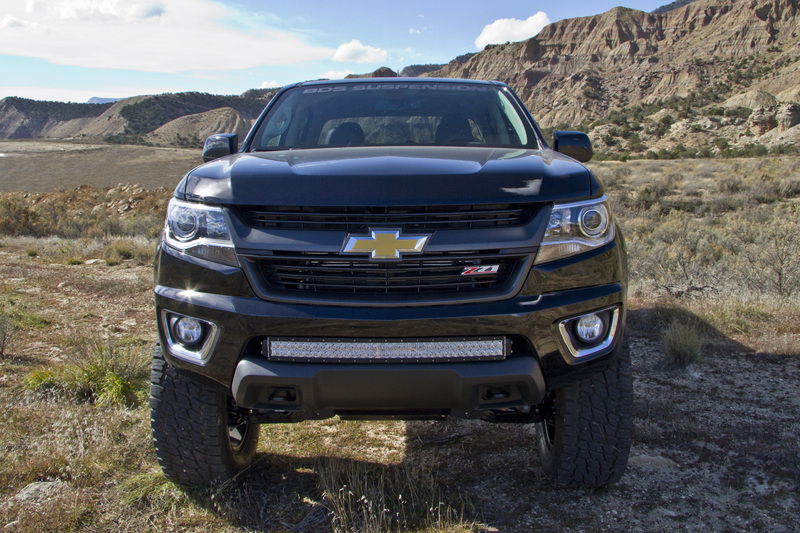 The front differential is relocated to keep CV axle angles at a minimum and function properly with the supplied transfer case indexing ring. 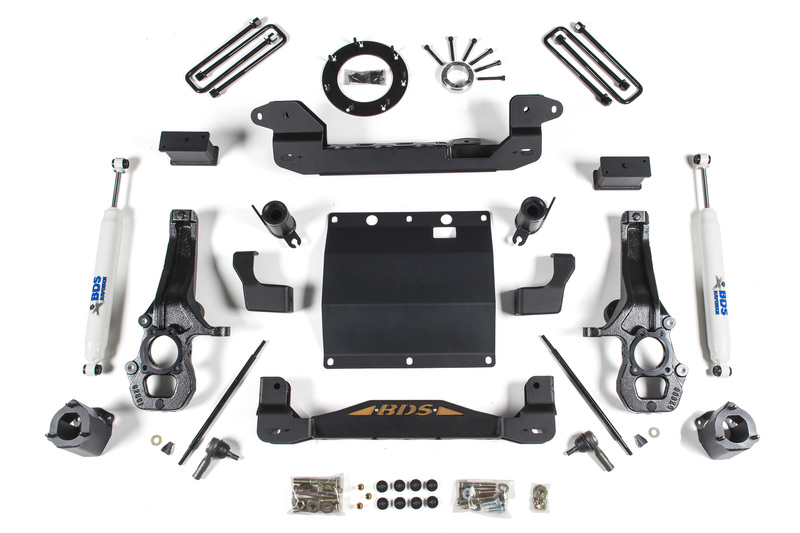 This allows for the use of the factory front driveline once lifted. 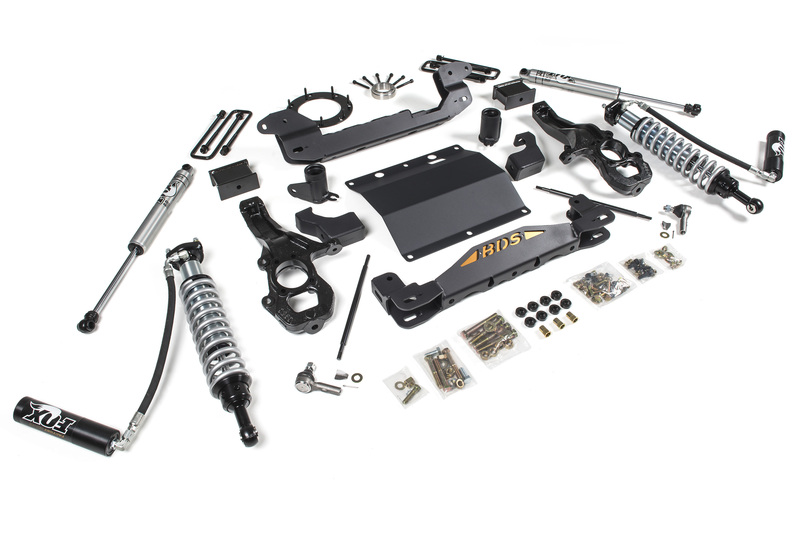 The factory front struts are reutilized with top mounted strut spacers to maintain ride quality and allow for quick installation without the need to disassemble the struts. 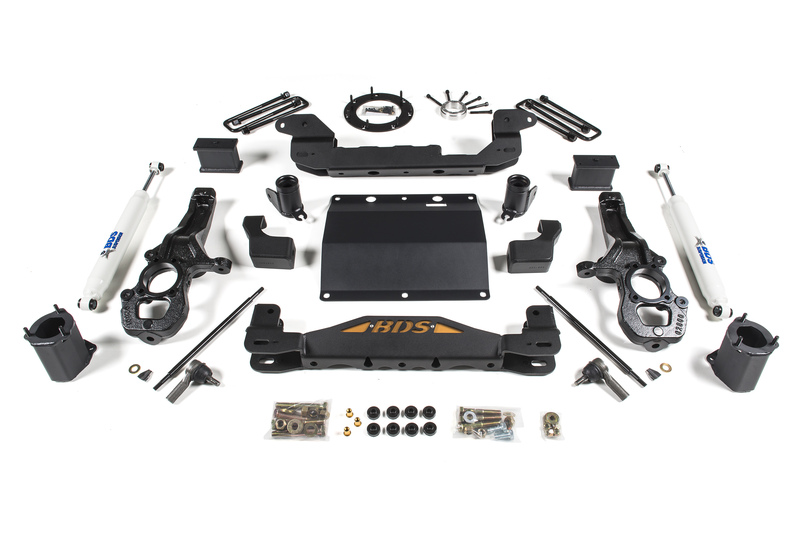 Front bump stop extension and sway bar links are included as well as new heavy duty Moog tie rod ends to properly set alignment without trimming the inner tie rods. 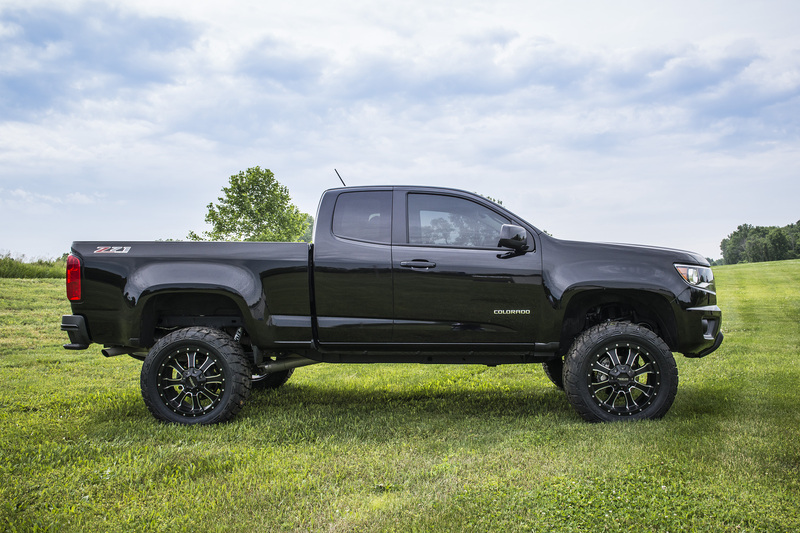 In the rear, a block/u-bolt kit sets the new ride height so it is level with the front. 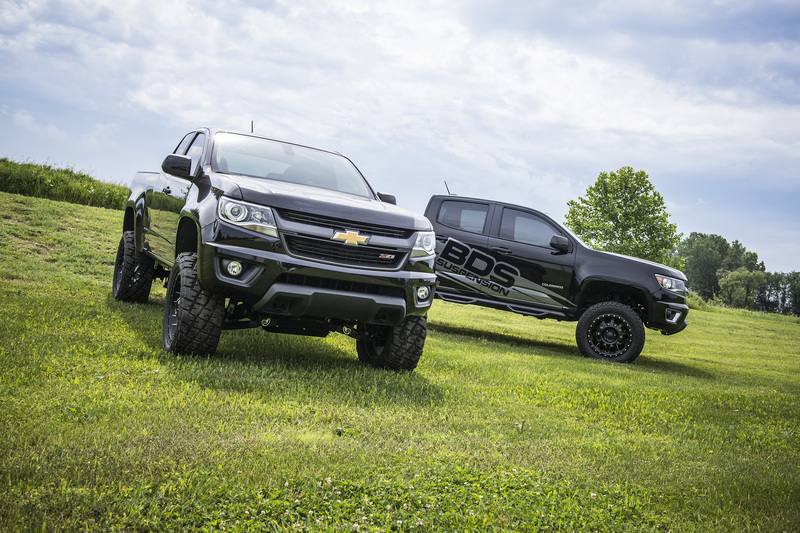 BDS offers both the 5500-series hydraulic or Fox 2.0 series gas shocks specifically tuned to maximize the Colorado/Canyon’s performance in any terrain. 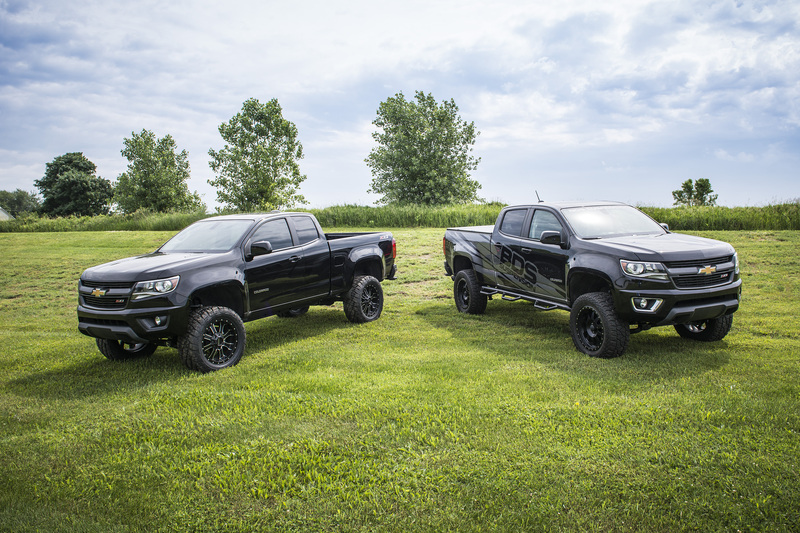 If you’re looking to be the first on your block with a lifted 2015 Colorado and want the most out of your truck, BDS has you covered with new 5.5″ IFS lift kits. 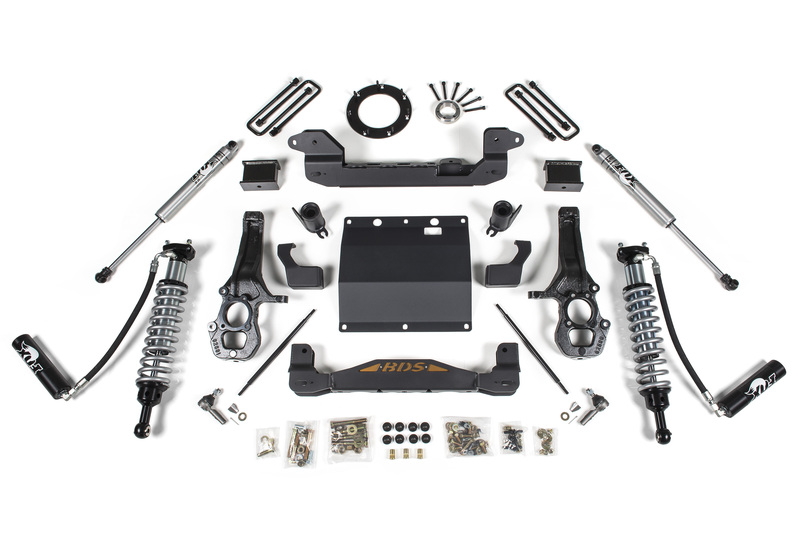 For more info on the kit and to find a dealer near you head online to bds-suspension.com. *Additional options including Fox Factory Series 2.5″ Remote Coilovers are in development and will be available as an upgrade option in the future. 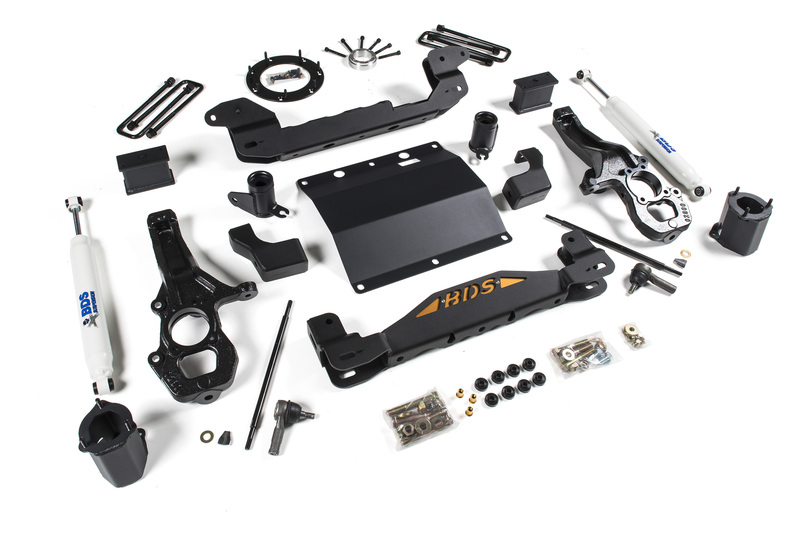 **BDS 5.5″ IFS Kit can be combined with a body lift for additional tire clearance. 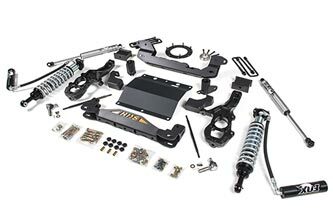 Does this lift kit work with the same 2.8L Duramax diesel? 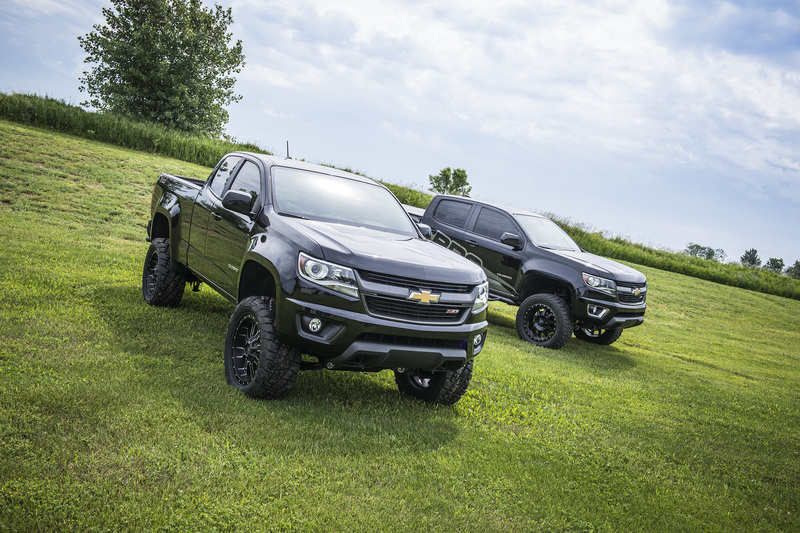 Hey Trevor, while we don’t expect any changes between the chassis of the 3.6L gas and 2.8L diesel trucks, we won’t know for certain until the ’16 Colorado diesel hits the dealer lots and we have a chance to pull one in to our shop to confirm kit compatibility. 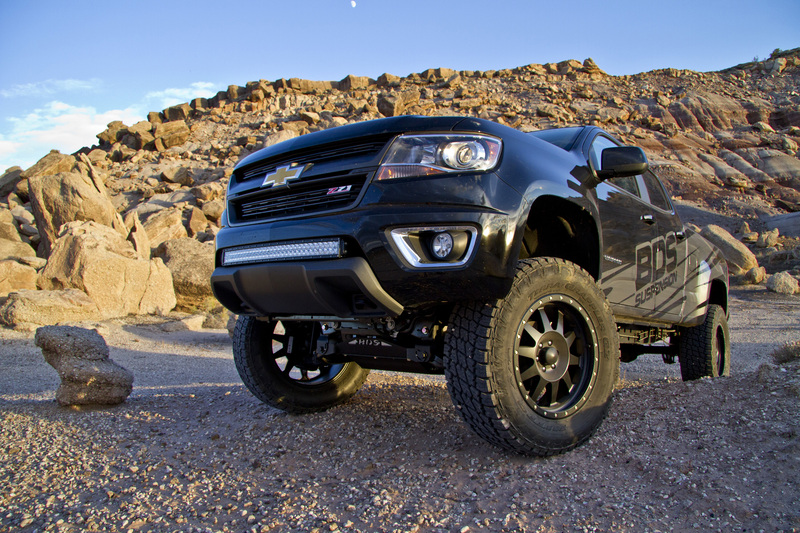 Will this kit be available for the 2 wheel drive as well?